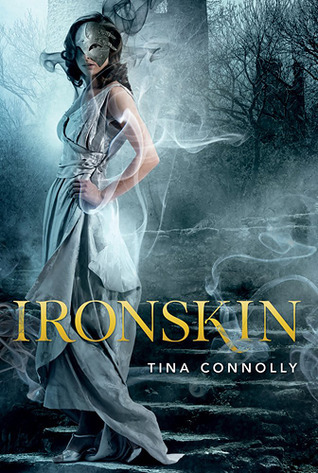 My cover pick this week is Ironskin (Ironskin, #1) by Tina Connolly. I seriously don't have words to describe just how gorgeous this cover is. It's just so...gothic. What do you think of Ironskin's cover? That is a gorgeous cover. I love the mask and the mist. The title font is so pretty. Gorgeous cover. She is like the girl version of that guy from the Phantom of the Opera. It has a lot of mystique to it, as well. I like it.